In December 2018, one of the longest running civil society support programmes in Central Asia enters a new phase. 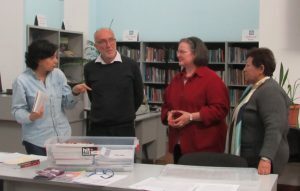 The UK-based non-governmental, non-profit organisation INTRAC (International NGO Training and Research Centre) began work in Central Asia in 1995 and has supported civil society in all five countries of the region with training, information, consultancy and research projects, funded by a wide range of donors. 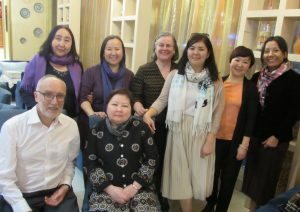 In December 2018 INTRAC’s office in Bishkek will close, and INTRAC’s ongoing support to civil society in Central Asia will henceforth be managed out of INTRAC’s head office in Oxford (UK). Over the last 23 years, INTRAC courses on organizational development, community development, resource mobilization, and monitoring and evaluation of development projects have provided new skills and knowledge to thousands of local people across the region. Around a hundred trainers and community leaders from the five countries have worked alongside INTRAC’s international experts. INTRAC’s training materials and analytical publications have helped to strengthen the civil society sector and ensure its constructive relations with government at national and local level. To celebrate INTRAC’s legacy in the region and plan for the future with our partners and network of regional trainers and consultants, INTRAC’s Chief Executive, Helen Mealins, visited Bishkek and Almaty from 8-12 October. On the 8th and 9th of October INTRAC formally handed over sets of its publications to key local institutions in Bishkek. Each set has 35 different publications – books, training guides, reports in English, Russian and Kyrgyz languages. One set was donated to the Development Resource Centre at Bayalinova Library, Tynstanova Street, Bishkek; the other – to the Civil Society Initiative at University of Central Asia, Toktogul Street, Bishkek. Other materials from INTRAC are available free by application to icap@intrac.kg and by downloading from our website at www.intrac.org . We take this opportunity to thank all our friends and partners in the region for collaborating with INTRAC over the years, united by the desire to strengthen the role and impact of civil society. We look forward to continuing this journey together into the future in new and exciting ways.